be quiet! 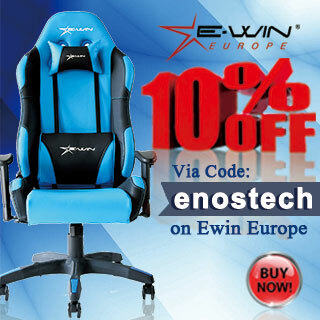 was recently nice enough to send us in some products for one of our Test Bench’s here at Enos Tech. 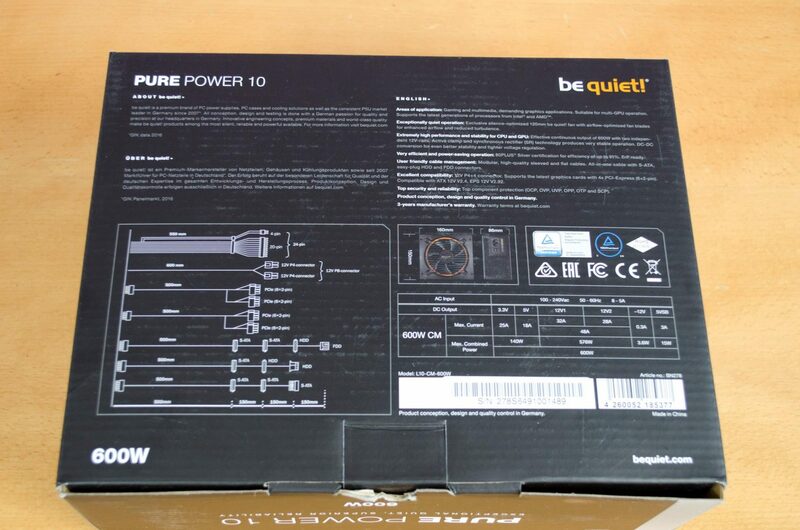 One of the items they sent is the Pure Power 10 600W Power Supply. Now, we don’t have a full on ATE load tester, but we can simulate a few tests and give you a general idea on the reliability of the PSU. 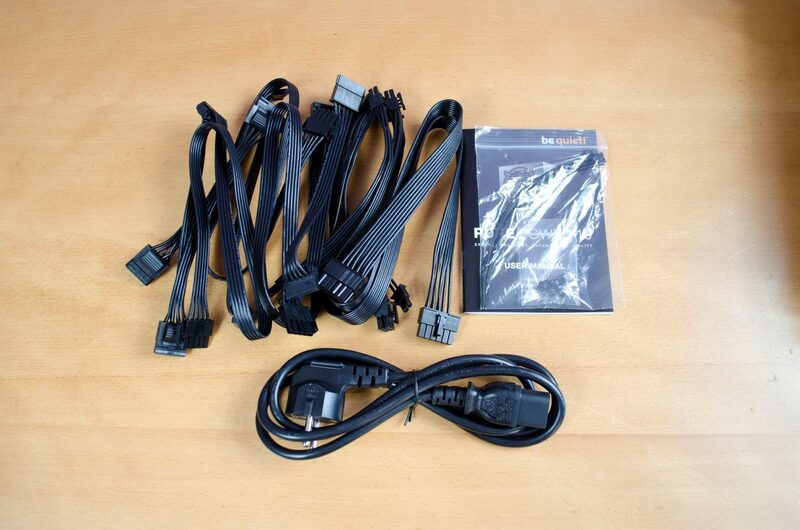 Now, when it comes to PSUs, most people know better thank to skimp out and get just any old cheap one. When looking for a new PSU, it is highly recommended to look for one with an 80+ rating. Depending on the exact components you will be using, will also help you decide if you need bronze, silver, gold or some companies even offer platinum and titanium rated power supplies. The better the rating, the better efficiency it will have which also generally means the more reliable the PSU itself will be. The Pure Power 10 range of PSUs are all 80+ Rated and feature a Silver certification. Basically, this just means the power supply should run at a 90% efficiency under various loads such as 20%,50% and 100%. 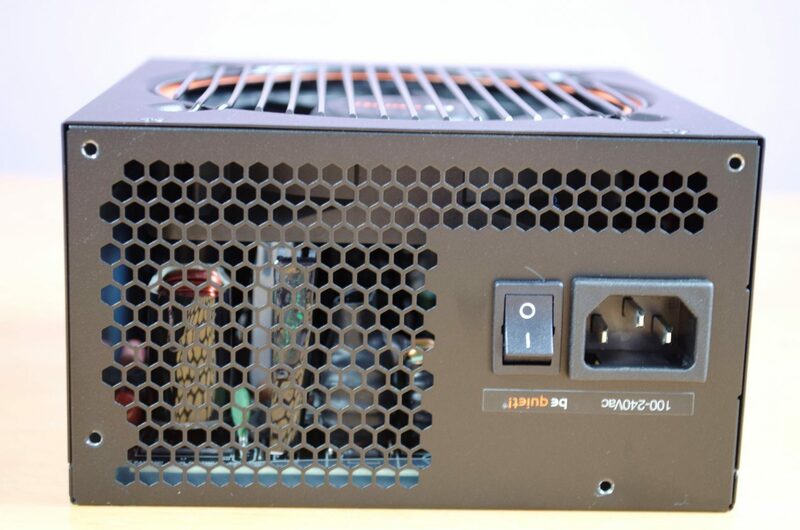 A Silver rated 80+ PSU should be sufficient for most any build as long as the wattage is OK. Silver is generally the mid-range PSU and while it should technically power up any build it meets the requirements for, it is designed for mid to high end builds. 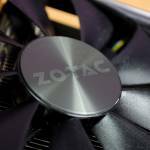 Users looking to go for enthusiasts level parts may want to consider a Gold rated PSU, especially if they are looking into dual GPU builds and the likes. Coming in at around £68 here in the U.K. the Pure Power 10 series of PSUs come with a 3-year warranty, which while not the longest it should be more than suitable. Taking a quick peek at the packaging before we take a look at the PSU and on the front of the box is a nice image of the PSU pretty much front and centre. 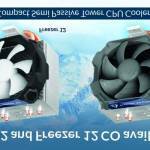 Below this, we can see that we should have a Pure Power 10 600W PSU inside the box. Lastly, we can see some of the features mentioned and also an image that confirms the 80+ Silver certification. On the back is where we can find all the important information regarding the included cables and their lengths. We can also see more on the power ratings as well as a list of even more features the POure Power 10 has to offer. This is a Semi-modular PSU so the main power connectors are attached directly to the PSU. be quiet! have gone with flat black cables for the rest of the cables. Inside the box is also a manual, power cable and a few screws/zip ties so you can get the PSU installed in your PC and even have a little tidy up of the cables. 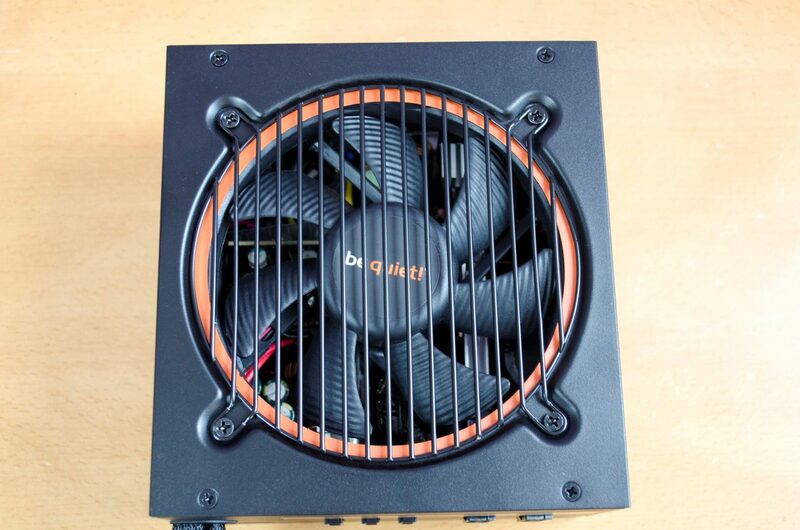 Getting the PSU out of the box and the first thing I noticed on our review sample was the orange ring around the fan. 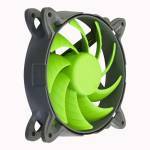 You can all see the fan protector which is easily removed if need be. Note, please don’t remove this unless you really have to and are aware of the risks in doing so. If you are not quite sure what you are doing, it’s best to find someone who does. You can also see four more screws on the outside edges that will allow you to remove the whole cover and not just the fan grill. 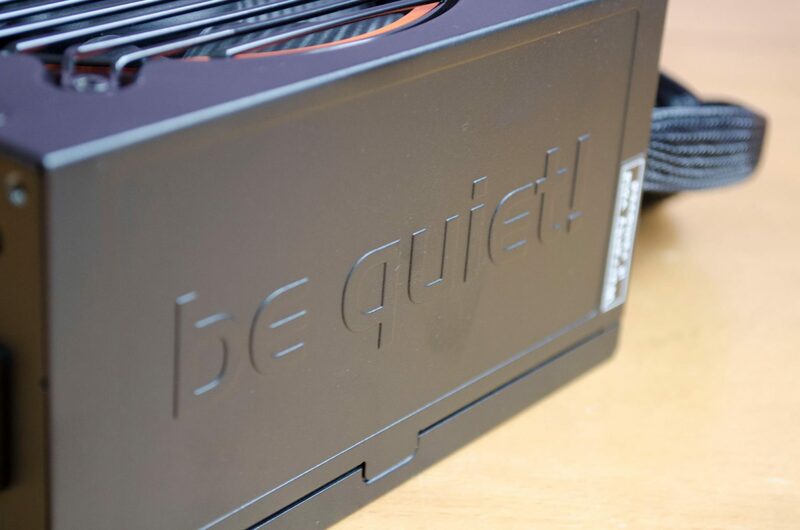 Depending on how you install the PSU in your case, you may be left with a raised be quiet! logo, or, you may be left viewing a sticker of the power input and output ratings. While it’ll likely never happen, it would be great if companies weren’t forced to put these stickers on the side of their PSUs! The back of the PSU is where you will plug in the mains power cable. 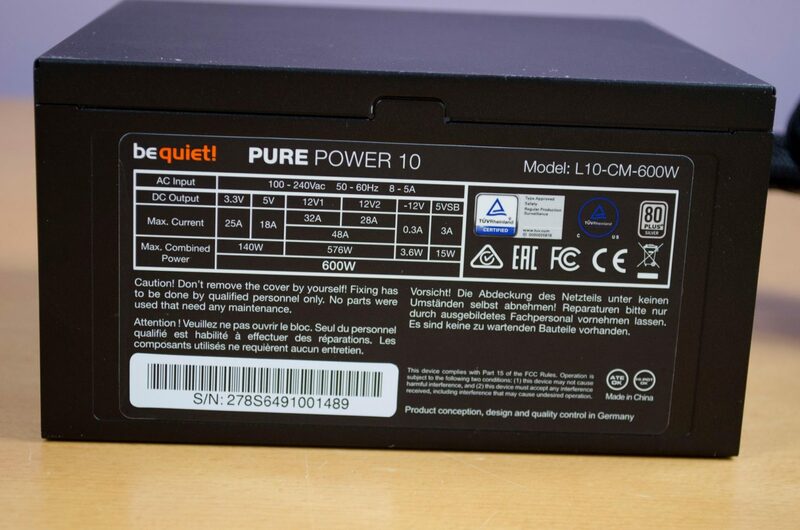 We can also see the Pure Power 10 has its own power switch. Anytime you are messing about with anything in your build, I always recommend unplugging the power cable and making sure the switch is off. At the end of the day, it’s better to be safe than sorry, especially if you live in an area that is prone to power surges and the likes. 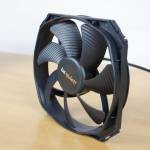 There is also a nice ventilated area for where the air from the fan can escape out of the PSU to help keep the components cool and operating as they should. While we don’t currently have the proper equipment (Working on getting some) to do a proper full load and ripple test, we still do what we can. One of the tricks I picked up with my time at Play3r was how to test the PSU with a multimeter. Basically, we hook the PSU up as normal, use some programs to stress it and record the readings from the 3.3/5/12V lines. While this isn’t as good as if we have an ATE load tester or oscilloscope, it gives us a bit better idea of what the PSU can handle in real world scenarios. PSUs are allowed a 5% fluctuation on the 3.3/5/12V lines which means the below readings are acceptable. 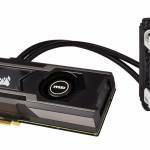 To power the PSU to the best of our ability, we used PRIME 95 and HEAVEN Valley benchmarks. 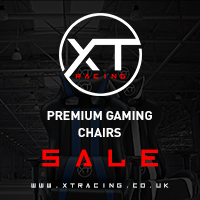 As we can see, all the results are in their respectable ranges. This really is no surprise as this is an 80+ Silver certified PSU but it’s always nice to have that confirmation. be quiet! 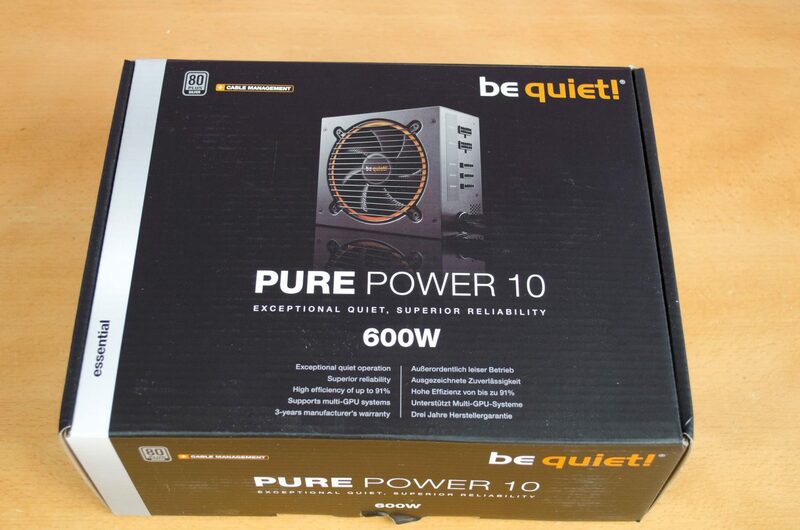 has gone with a semi-modular approach with their Pure Power 10 series. 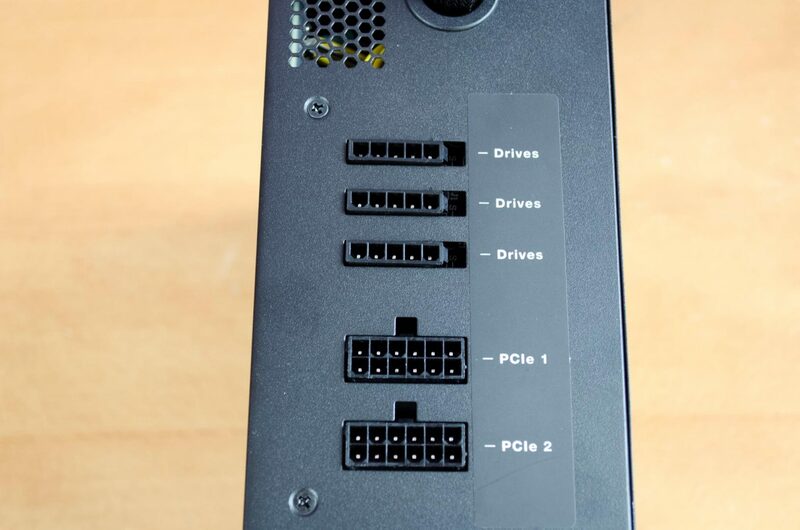 Having the main power connectors permanently attached to the PSU is not a big deal at all as they are always going to be used. 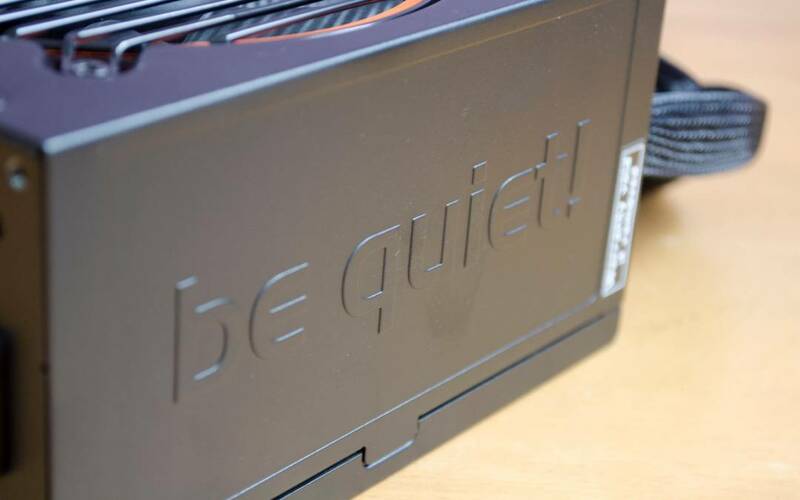 As for the modular cables, be quiet! went with flat black cables which are not only pleasing to look at, they are easy to tuck out of the way and offer easy cable management. 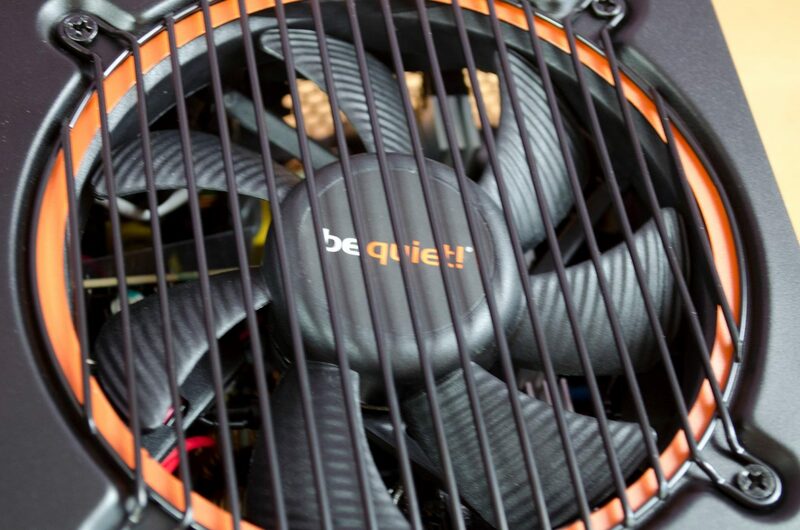 While you can get it without, our review unit had an orange ring around the fan and while this won’t be seen in the majority of builds it’s used in, it is a nice little touch from be quiet! 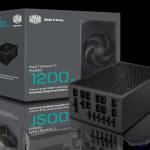 For just under £70 you are getting a 600W 80+ Silver certified PSU which also means it runs at a 90% efficiency. Having that piece of mind that the power supply is trustworthy is more than worth its weight in gold! 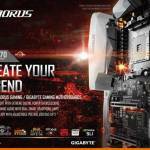 If you are looking to build a mid to high-range gaming system but don’t want to spend a ridiculous amount of money on a power supply than the Pure Power 10 series is well worth a look. For your money, you are getting a semi-modular PSU that comes backed with a 3-year warranty, though it should last much longer than this! be quiet! are known for offering durable and trustworthy components and they have not let us down with their Pure Power 10 series of power supplies. Many thanks to be quiet! 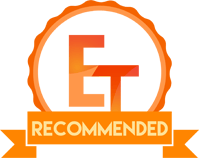 for sending their Pure Power 10 series PSU for this review!